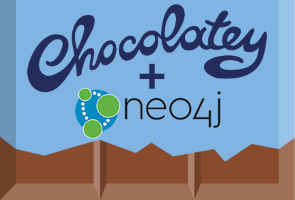 I wrote a blog post for the Neo4j website about my work on chocolatey packages for Neo4j Community edition. There are many ways to install Neo4j on a Windows server or desktop, including as a simple .exe file or a .zip file. However, it would be great to make it easy to install Neo4j in a more Windows-standard way. Previously this was difficult in Windows as there was no standard package manager, however Chocolatey has gained a lot of popularity in the past few years as the Windows package manager to use.